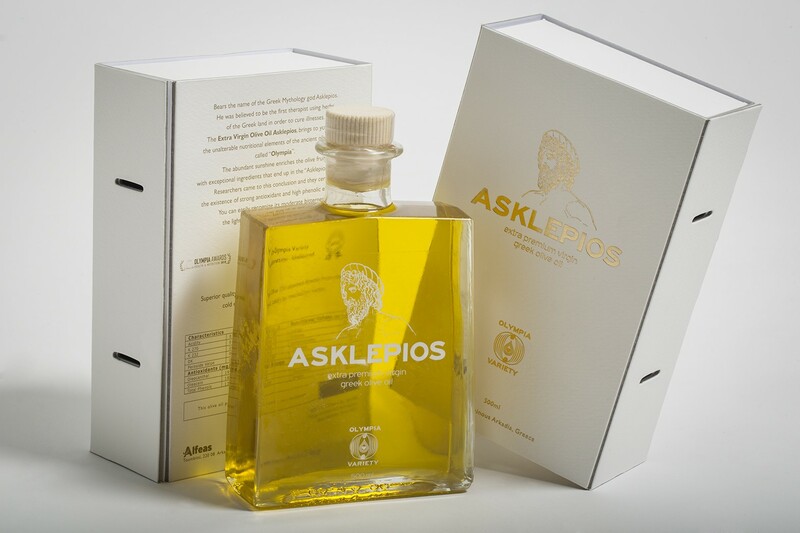 Tailor made carton box packaging for Extra Virgin Olive Oil "Asklepios". 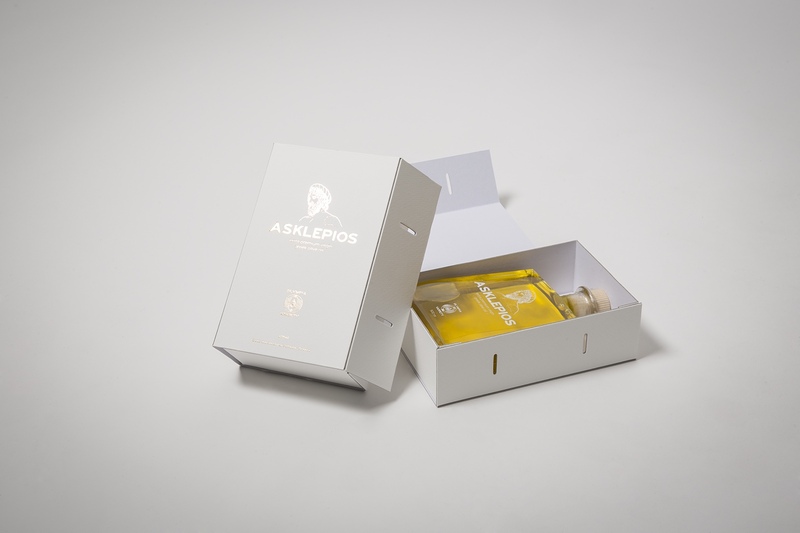 Box made from laminated special texture card stock. Cut with the use of die tools, glued by hand. 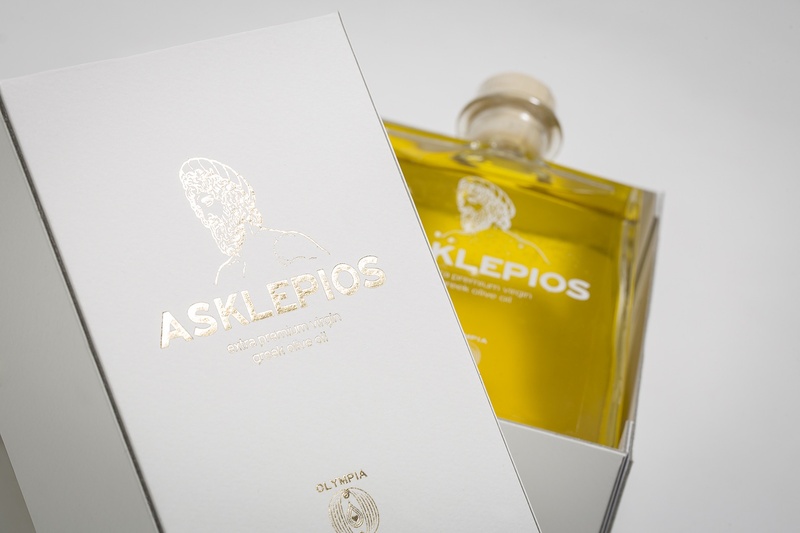 Hot foil stamping logo print on the outer side of the box's lid, gold offset print on the back side. 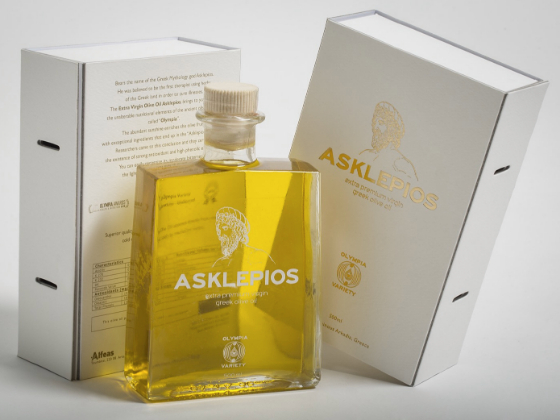 Additional ribbon goes through the vertical cuts of the box (not appearing in the photos), which is used for the wrapping up and closing of it.